We start with the setup of the custom fields as we need them later in the Custom Logic and cannot implement the Custom Logic without the fields available. 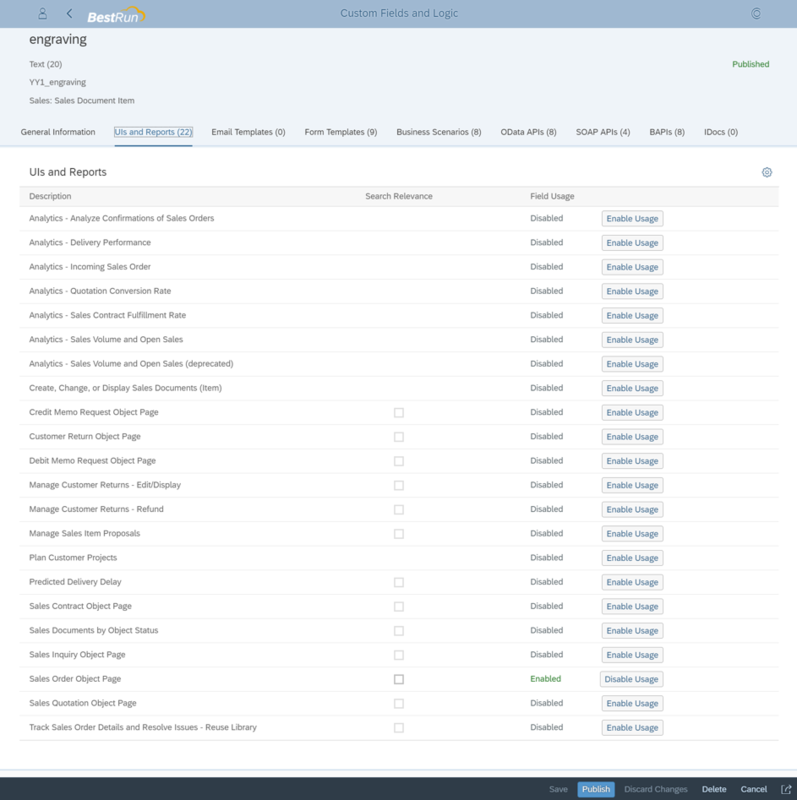 Engraving, Font and Font Size are all fields that should be visible on the Sales Order Item UI. The difference will also be how the fields are filled. The engraving field will be exposed to the outside via an API so when the field will be filled via the API call. 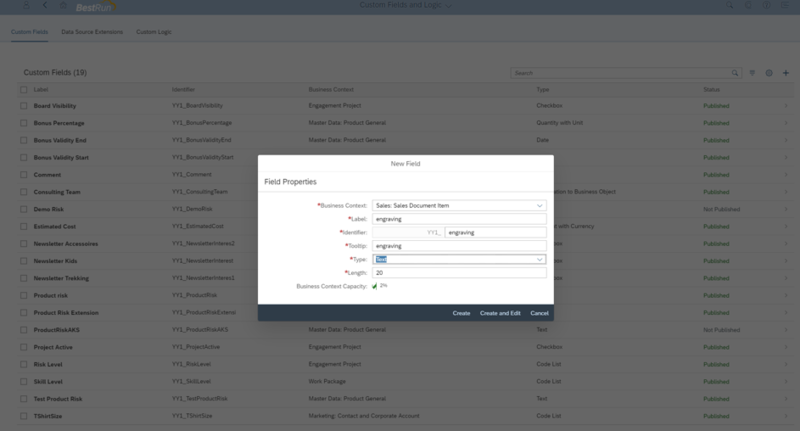 The Font and Font Size will be filled in the custom logic in the custom business logic chapter. They will be derived based on the style id which will also be exposed via an API and be filled via the API. Besides having the fields (Engraving, Font and Font Size) only on the Sales Order Item UI I also want to see them in the follow up process meaning the corresponding Outbound Delivery Item. 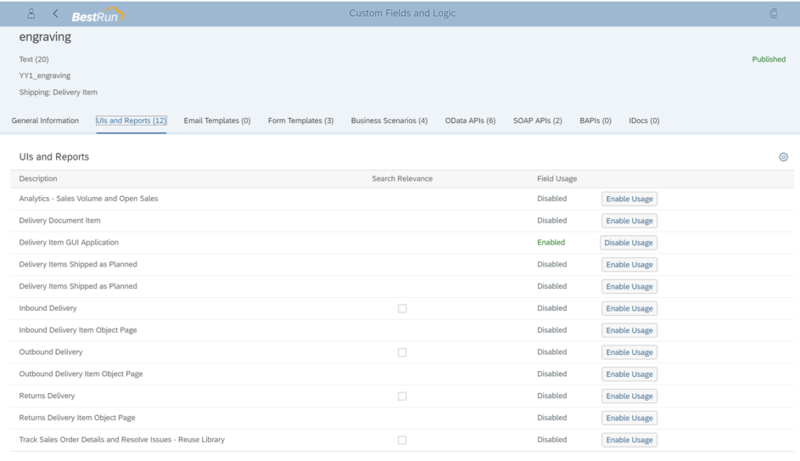 To enable this, I will use the Process Extensibility which is part of the Custom Fields and Logic app. 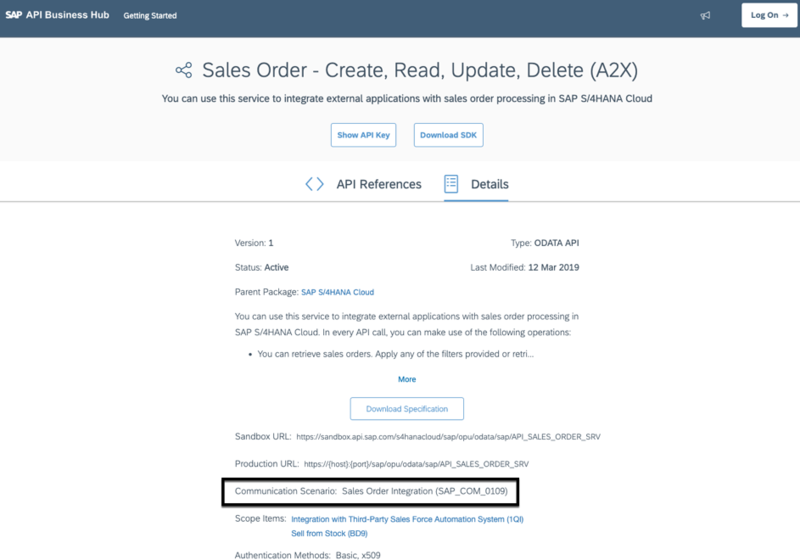 Besides that, we need to enable the external usage of the Sales Order API where added our custom fields. 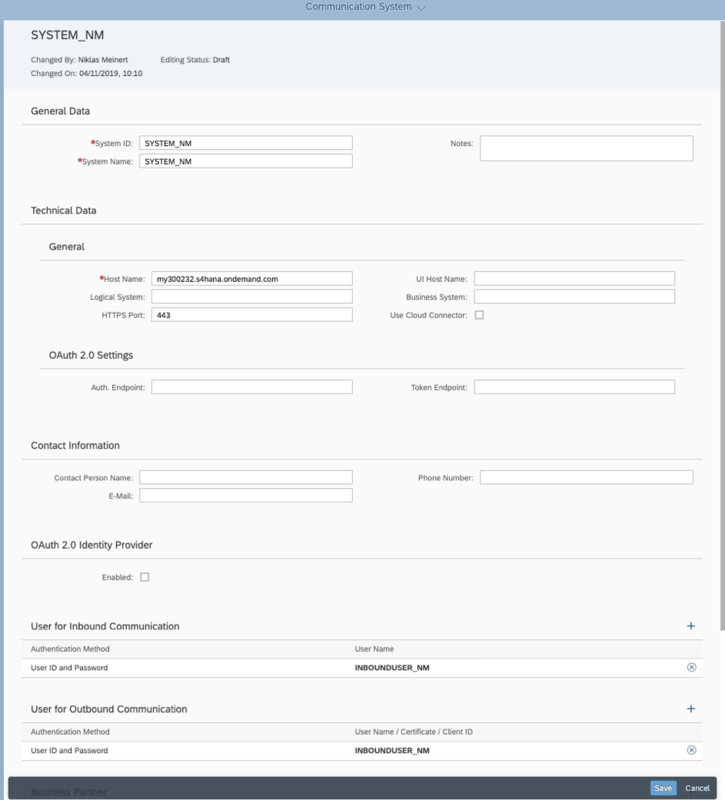 To do this I will show how to setup a communication user, a communication system and a communication arrangement so I am able to call the API from the Postman application. In order to not display the same steps for all 4 fields I will indicate which steps are relevant for which field. A communication user is needed to setup external communication. It will be assigned to the communication system. I will use the communication user later in the API calls to authenticate myself. A communication system is needed to setup external communication. It will be assigned to the communication arrangement. A communication arrangement is needed to setup external communication. It bundles the information which system can be called, which communication user is assigned, which authentication method can be used and will provide the URL that is required to perform external API calls from the Postman application. 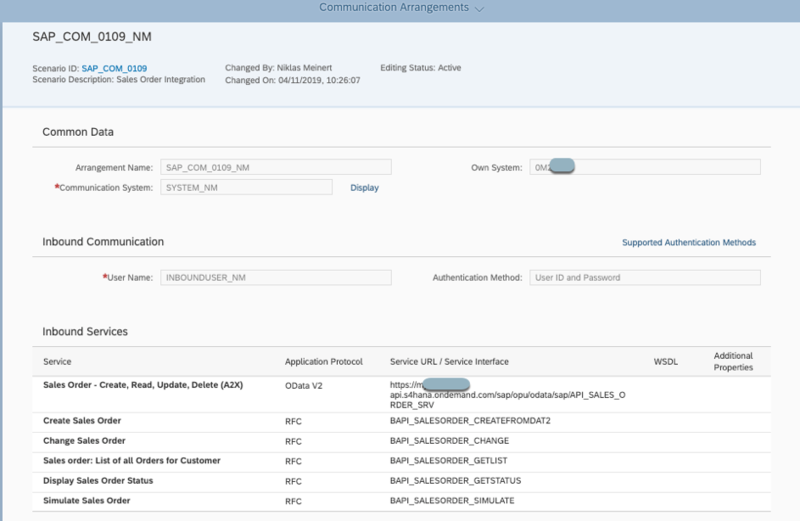 This blog shows how easy it is to setup custom fields, extend APIs and enable process extensibility in the SAP S/4HANA Cloud system. It shows how it can be uses internally as well as the data can be exposed. The blog outlines that the In-App Extensibility tools are powerful, easy to consume and life cycle stable. Really very impressive..!! Thanks for sharing this blog post..!! 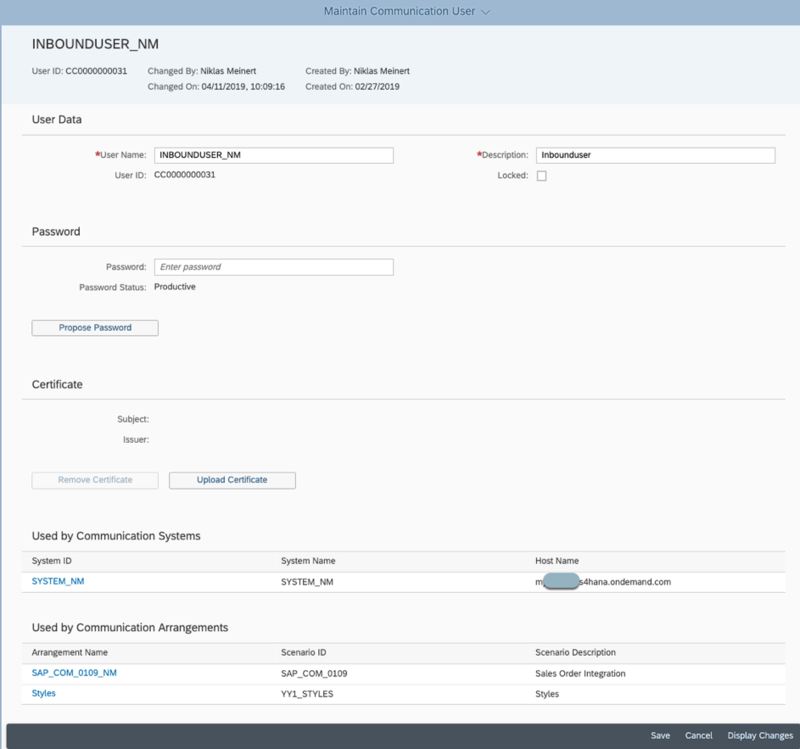 I like SAP Cloud Platform extensibility which allows us to meet essential business operations every day while planning and expanding to meet future needs. 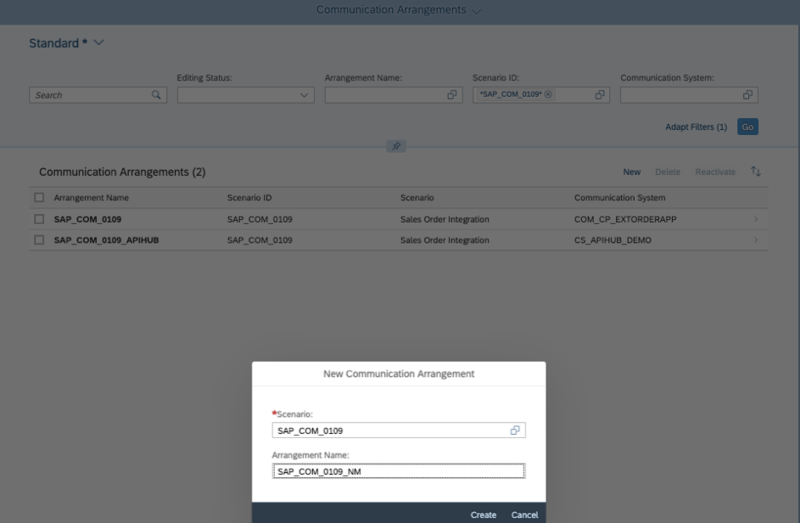 As the platform for extension and innovation, SAP Cloud Platform simplifies how new technologies can be leveraged to enhance business processes and functionality with intelligence, efficiency and increased user engagement.